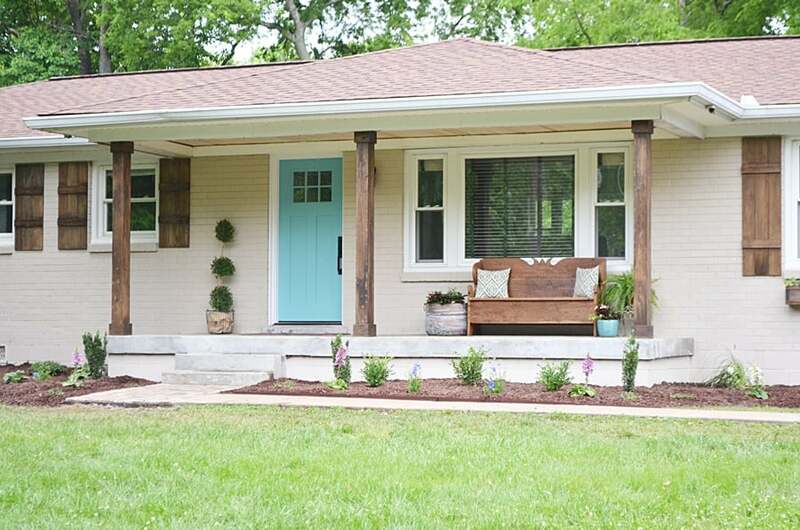 After a hard Winter, Beneath My Heart blogger Traci partnered with Lowe’s to give a dated, weather-battered Nashville home’s exterior a much-needed Spring makeover. To keep the updates quick and cost effective, Traci and Lowe’s focused on four main areas of the exterior that would give the biggest return on investment and employed some serious DIY ingenuity. The results are nothing short of dramatic. Check out an overview of the four changes they made below, and visit Beneath My Heart for all the DIY details. 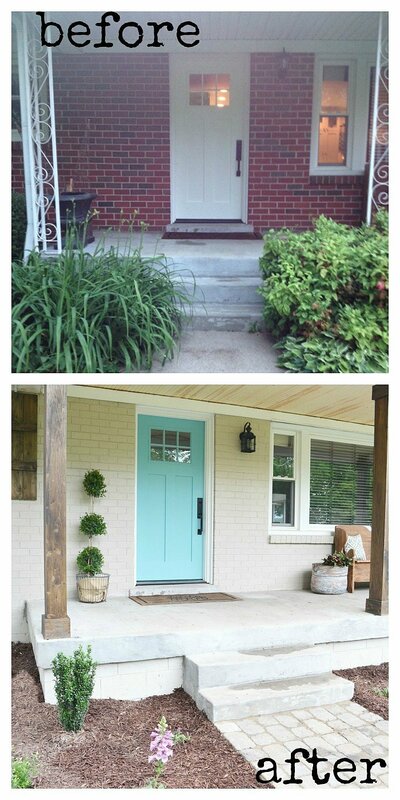 The home’s brick exterior was modernized with light beige paint, and the front door went from boring in white to eye-catching in turquoise. Dark and bulky shrubs were uprooted and replaced with small greens and colorful flowers, making the walkway feel airy and welcoming. The bare windows were endowed with charm and character in the form of DIY board and batten window shutters and flower boxes made from stained poplar boards. The new DIY wood columns that replaced the home’s dated front porch banisters rounded out the makeover and solidified the house’s status as beautiful and contemporary.